For a while now most people outside the walls of Apple have generally assumed the iPad 3 would come with a 2048x1536 Retina display. The 2010 iPhone 4 introduced the idea of pixels so small they were almost invisible to the naked eye, and while rumors suggested the 2011 iPad 2 might make a similar leap forward, Retina displays that big just weren't in the cards. That was then. This is now. MacRumors got their hands on a 9.7-inch panel which sounds a lot like what Apple is rumored to be using in the iPad 3, and broke out their science kits to confirm it is, indeed, 2048x1536. It absolutely had to be -- there's no way Apple could release anything but a 1x (1024x768) or 2x (2048x1536) display without shredding their app ecosystem, but it's still nice to see the panel get measured in the wild. Since we only had a raw iPad 3 display with no method to power it, taking high quality photos of the pixels was difficult. Still, even with the relatively poor lighting, you can easily make out the pixels on each display (made up of red, green and blue elements). We highlighted a cluster of 4 pixels (2x2) from the iPad 2 to compare it to the same area on the iPad 3. On the iPad 3, the same cluster was occupied by 16 pixels (4x4) -- exactly twice the resolution in each direction. 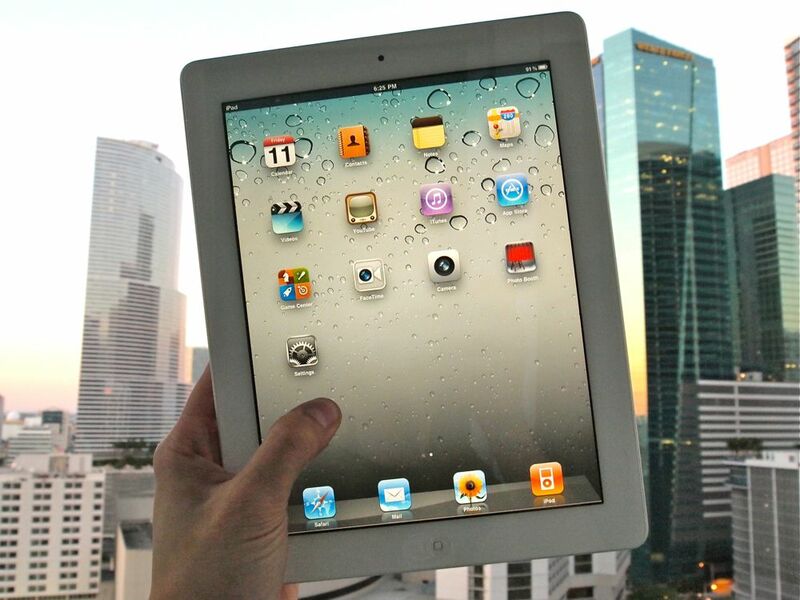 No doubt we'll be seeing a lot more leaks and stories leading up to the expected iPad 3 announcement on March 7, and iPad 3 release in mid-March. Along with the Retina display, a quad-core Apple A6 chipset, and 4G LTE radio are also rumored to be in the cards.